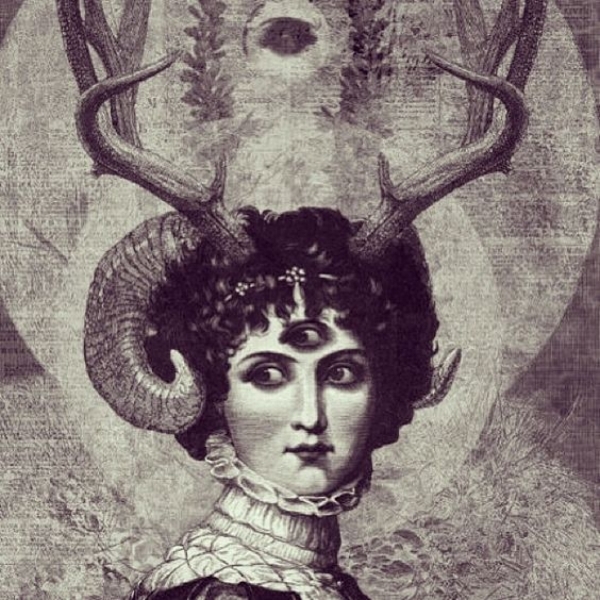 This Taurus New Moon (exact at 4:48am PST, Tuesday May 15th, at 25 degrees Taurus) is unlike any other; usually placid, stable, and fixed, this Taurus Moon foreshadows massive shakeups to the material world. On the same day as the New Moon, Uranus shifts into Taurus, where it will spend most of the next eight years, and Mars, square to Uranus, shifts into Aquarius where it will spend an unusually long six months (due to its coming retrograde). Uranus seeks freedom through revolution, innovation, breakups, breakdowns, breakthroughs and brings this energy to the domain of Taurus: the physical world, the body, nature, Earth, money, and housing. Often longer outer planet transits like this can start out a little rocky, and as we become more accustomed to working with the energy, can become quite positive by the end. Uranus is seeking freedom afterall. We can expect to revolutionize our financial systems over the next eight years, as more awareness is brought to the injustices and inequalities within it. Environmental activism is also likely to rise as more people wake up to the outrageously unethical practices of corporations and states in the name of resource extraction and the bottom line. Housing is also likely to be entirely revolutionized as it will become crystal clear that we have within our capacity the ability to provide housing for all humans. Ultimately, Uranus in Taurus holds the possibility of easier, cheaper housing, built out of natural materials, designed with the land, and community in mind. There may at first be crises in these areas (there already are, of course), but with awareness, crises can motivate initiative and change. Uranus in Taurus square Mars may manifest as the awakening of kundalini, the energy normally coiled at the base of the spine awakening and pulsing through the body. An embodied practice is essential if you are experiencing this increase in electric energy, which may be experienced as anxiety, insomnia, and soreness, especially if there isn’t enough movement. Any movement is good, but practices that explicitly work with the energy body are best, such as yoga, tai chi, or qigong. Even when not practicing though, it will be important to move the body regularly. If you work at a desk, stand up often, shake, stretch, walk, dance. Avoid sitting still for long periods. Mars is approaching a retrograde, so while movement is important, be careful and sensitive to your body and how you interact with it, as Mars retrograde can indicate injuries (especially for very Marsy people, like Aries and Scorpios), often due to pushing your body too hard, or being aggressive with yourself, or not listening to subtle bodily cues like low-level pain. Use this heightened and electrified physical energy to attend to your embodied experience, to work with moving in ways that are in tune with your body, to learn to listen more carefully to the bodies’ messages, and to refine your bodily awareness. Mars square Uranus on the day they both switch signs is dynamic, active, fiery, electric, surprising, exiting. We can expect an obvious indication of how the Uranus in Taurus story will play out. There is a second Uranus-Mars square in August, and a third in September, so whatever happens around the Taurus New Moon is likely the first chapter in a story that will unfold over the course of the next few months, and, as Uranus continues through Taurus, the next eight years. With Uranus involved however, whatever direction is taken in May is very likely to change as the story continues. Expect your plans to change. Expect your direction to change. To work in collaboration with this energy, be flexible. Things are changing quickly. What we could once depend on is no longer stable. Uranus loves to break up stagnant patterns and shake up anything that has stabilized. This is no time for the faint of heart. Life is changing quickly and whatever we are attached to may well be taken from us. However, the more we work with the change, the more we are promised freedom and justice. I can’t wait to see what unfolds over the next eight years. I suspect that by then, collectively, and individually, we will be somewhere that we can not at all anticipate right now. To learn what Uranus in Taurus means for your sign for the next eight years, see the horoscopes I wrote for May.